Number one, but for how long? In the battle between Samsung and Apple the iPhone 5 has beaten Samsung's flagship phone in sales during the last months of 2012. 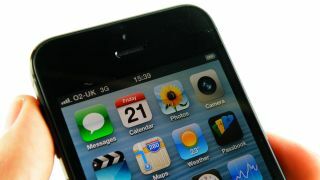 The iPhone 5 became the best selling smartphone in the world with the Samsung Galaxy S3 being pushed into third placed behind the iPhone 4S, according to the latest research from Strategy Analytics. The figures show that Apple's latest phone sold 27.4 million units during the last three months of 2012 - that's more than the entire population of Australia. During the same period the S3 sold 15.4 million units and the iPhone 5's older brother, the 4S, managed to sell 17.4 million devices. The combined sales of the two Apple phones make up one in five of all smartphones shipped during the quarter, giving them a 20 per cent share of the entire market. Although these figures don't take into account the sales of other Samsung phones. Total sales of smartphones around the world reached 217 million, making a leap from 172 million in the preceding months. Apple's dominance is in sharp contrast to the third quarter of 2012 when the S3 was perched above both iOS devices, selling 18 million units. Samsung shouldn't be too worried though as the S3 is still selling well despite the fact that it has been around for over nine months. The fall from the top rung doesn't come as a huge surprise considering Apple's latest phone went on sale just before the period in question, and legions of iPhone fans skipped the samey iPhone 4S in favour of waiting for a bigger upgrade. While Apple can enjoy being on top of the smartphone world for the time being the sales pendulum is likely to swing back in the favour of Samsung when the rumoured Samsung Galaxy S4 is released, possibly as early as next month.